Rugged Chassis – Crystal Group rugged chassis are constructed from thick sections of strain-hardened 6000-series aircraft aluminum. The all-aluminum construction helps to limit weight, improves thermal conductivity and vibration performance, enhances electrical conductivity for EMI, and is designed to meet MIL-STD-810, MIL-STD-461, MIL-S-901E, and MIL-STD-167-1 Keeping the chassis stiff is key to limiting solder joint failures and extending the life of the system. Thermal Management – With decades of experience, Crystal Group specializes in optimizing a system or device’s thermal performance using materials with superior thermal conductivity optimized with SWaP performance. Crystal Group’s engineering team are experts in utilizing CFD analysis to speed the development and reduce execution program risks. Shock & Vibe – Crystal Group designs and develops systems to withstand extreme levels of shock and vibration, offering solutions that meet or exceed military specifications (MIL-S-901E, MIL-STD-810). Blending the use of COTS components with specially designed electronics is a key skill that few companies possess. Crystal Group ruggedizes existing technologies and designs/builds specific components from the ground up. This capability is key to meeting the shock and vibration requirements within the broad range of applications. Noise Reduction – Crystal Group chassis reduce acoustical noise by balancing the fans to limit the amplitude of emissions and reduce structure-borne noise. This limits vibrations transferred from the fans and the power supply. These characteristics are critical in various military applications, including subsurface Navy operations. Electromagnetic Compatibility – Crystal Group designs its all-aluminum and carbon-fiber chassis for electromagnetic compatibility (EMC) reducing Electromagnetic Interference (EMI) susceptibility within the environment. These characteristics are critical in EW applications above the water and below. Controlling slit radiators, ground loop currents, fast current swings in amplitude, exceptional bonding and grounding, and power conditioning provide an arsenal of techniques to meeting challenging EMC requirements. Crystal Group designs and manufactures its own line of power supplies to meet many challenges. Processor & Memory – Crystal Group’s extensive product portfolio taps the latest and most advanced hardware and software available. As an Intel® Technology Platinum Provider, Crystal Group adheres closely to the Intel Roadmap to bring the very latest Intel innovations to aerospace and defense, automotive, commercial, industrial, and other discerning industry customers quickly and efficiently. By adhering to the roadmap, Crystal Group can provide a 15-year life on most processors and PCH chips. Specifications – Crystal Group designs and tests its systems to ensure they meet or exceed a wide variety of strict requirements, standards, and specifications. All products are produced in a state of the art, vertically integrated, ISO 9001:2015/AS9100D and NIST certified facility. Warranty – Crystal Group stands behind its products with unbeaten warranties and support. Each complete, integrated system that leaves Crystal Group’s facility is backed by the company’s impressive five-year warranty, which comes standard at no additional cost. Crystal Group allows customers to extend this warranty to 15 years if desired for a nominal fee. Security – Cybersecurity involves everything from tamper evident to full DAR encryption. Crystal Group provides platforms capable of trusted execution technology, TPM equipped, and secure boot making deployment in sensitive environments safe and reliable. Total Cost of Ownership (TCO) – Beyond the initial cost of a rugged computer, there are hard and soft costs to consider. The hard costs are easy to recognize – it’s the hidden soft costs, such as production downtime, system maintenance, and re-certification that have a significant impact on TCO. Upfront investment provides greater dependability and reliability, and will significantly reduce long-term cost. 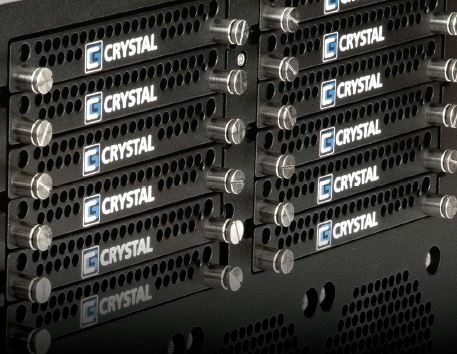 Crystal Group’s reliable hardware solutions keep mission- and safety-critical systems, platforms, and infrastructure running when and where they’re needed – no matter how extreme the application, elements, or environment. When lives are on the line, reliability matters. Crystal Group is a clear advantage. Contact Crystal Group’s staff of experts for a quote or other information. 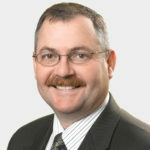 Jim Shaw joined Crystal Group in January 2006 as Vice President of Engineering; in 2011, Jim was promoted to Executive Vice President of Engineering. Jim has responsibility for guiding the Engineering department and is the leading member of the product development team. Jim also provides direction as the Quality Management Representative for Crystal Group. Jim’s innovative design prowess led to the birth of the rugged series (RS) chassis for the military and industrial computing markets. 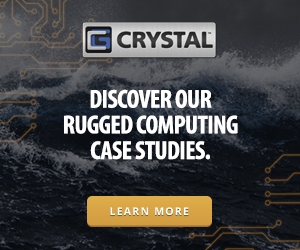 During Jim’s tenure at Crystal Group the company has expanded its product lines into storage, displays, rugged switches, and custom power supply designs. Jim holds a Bachelor of Science degree in Mechanical Engineering from Iowa State University and a Masters of Business Administration from the University of Iowa. Prior to joining Crystal Group, Jim held a management position in engineering at Rockwell Collins, located in Cedar Rapids, Iowa. During his time there, he was honored three times as one of Rockwell Collins’ Engineer of the Year nominees for his work in high performance electronics packaging. He has authored or co-authored nine international patents.